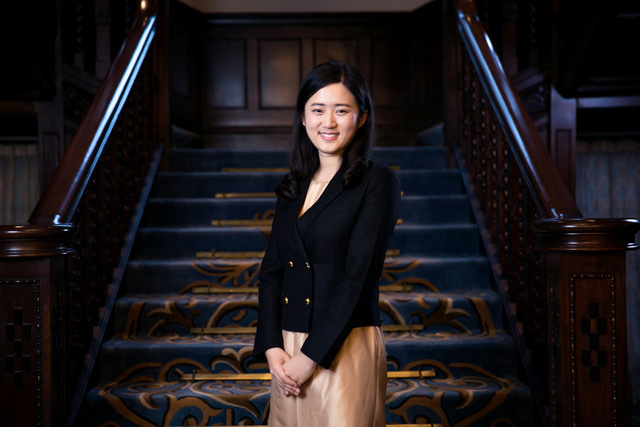 Yan Chen is the first Harvard affiliate to receive the Rhodes Scholarship in mainland China. Yan Chen admits that, at the age of 23, she’s older than most Rhodes Scholars, but she said she is no less passionate about using the platform to study and advocate for theater. Chen, a 2018 graduate of the American Repertory Theater Institute and the Extension School at Harvard, is the first Harvard affiliate to receive the Rhodes Scholarship in mainland China, bringing the total number of University-affiliated winners this year to six. Numerous countries and regions offer individual Rhodes scholarships for their residents. The Rhodes Scholarship pays for graduate study at Oxford University, and more than 350 Harvard alumni have received the honor since the fellowship's establishment in 1902. The year’s class has more women than ever before, and immigrants or first-generation college students comprise nearly half the class. After graduating from Nanjing University with a degree in English literature, Chen studied dramaturgy and theater studies at Harvard. While in Cambridge, she became involved in several Boston-area theater productions, as well as shows in Moscow and Shanghai. Chen also said the scholarship’s emphasis on public service encouraged her to apply for the chance to study at Oxford this year. “I felt the Rhodes offered a perfect opportunity to not just further my research but also to be immersed in a community of individuals who were all very highly motivated, who excelled in their field and who more importantly, wanted to use their talent...not just for their own benefit, but for the benefit of others,” Chen said. Chen joins five other Harvard affiliate in receiving the prestigious award this year. 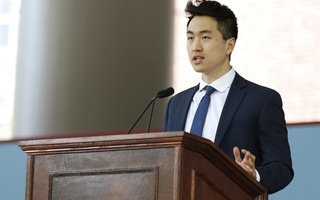 Jin K. Park ’18 -’19, the first DACA recipient of the scholarship in United States history, and Brittany N. Ellis ’19, a former Crimson news executive, won the Rhodes scholarship in the American districts. The Rhodes Trust also named Michael Liu ’19, Olga Romanova ’19, and T. Mattea Mrkusic ’17 Harvard College’s three international Rhodes scholars. This year, the Rhodes Trust launched two new Global Rhodes Scholarships for candidates from anywhere in the world. Romanova is among the inaugural winners of the Global Rhodes. Liu, who is from Canada, and Mrkusic, who is from New Zealand, won scholarships from their home regions. Chen said she is encouraged by the establishment of the Global Rhodes Scholarship and hopes it can lead to more international scholars. “I'm really hoping that more people like me who are studying away from their home country can learn about this opportunity,” Chen said. While at Oxford, Chen said she plans to pursue research into theater as well as bring a “trans-cultural” approach to professional theater scenes. “I've studied theater in five countries so far, and I'm just hoping that there would be opportunities to bring people together to forge new relationships and new collaborations to work on new productions and new exciting projects,” Chen said. As for life after Oxford, Chen said she hopes to work in international theater to promote the work of artists from across the globe. “I might like to run an international theater project someday to help artists from all around the world and especially in China, my home country, of course, to develop their new original work,” Chen said. Harvard Rhodes Scholar and ‘Dreamer’ Risks Being Denied Reentry Into U.S.